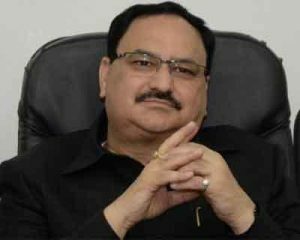 Union Health Minister J P Nadda said the government is working to improve healthcare sector despite challenges and the decision to slash prices of coronary stent is one of the moves to provide relief to people. Addressing the platinum jubilee annual conference of All India Ophthalmological Society, the minister said there are several challenges in the healthcare sector but the government is making all efforts to address them. “The government decided to slash prices of stents and we will look how other such decisions can be taken,” he said. From disease-centric approach, now “we are now moving with preventive approach” so that diseases could be detected and diagnosed at early stage, he said. “Lack of human resources and healthcare facilities in rural areas, disparity in facility regionwise are some of the challenges in the healthcare sector and the government is making all efforts to deal with them,” the minister said. “We are trying to develop not AIIMS like institutions but AIIMS. We will not compromise the standards in the new AIIMSes,” he said. The minister said there is decline in MMR, CMR which indicates that the situation is improving. Rajasthan health minister Kalicharan Saraf and others were present in the programme.